Nike has pledged to donate all money raised from sales of new limited edition sneakers – as worn by character Marty McFly in ‘Back To The Future Part II’ – to Parkinson’s research. 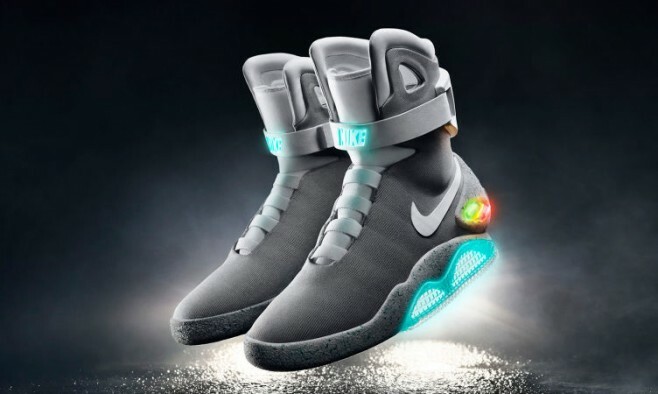 Michael J Fox, the actor who played Marty 30 years ago, received the first pair of the futuristic self-lacing sneakers on ‘Back To The Future Day’ (21 October 2015) along with a personal hand-written letter from the shoes’ designer, Tinker Hatfield. “As the first, most celebrated wearer of the Nike Air Mag, we wanted you to be the first to receive a living pair,” the heart-warming letter read. Fox, 54, tweeted a picture of the letter and later the Michael J Fox Foundation posted a video of the actor who is seen modelling his brand-new sneakers for the first time with the futuristic self-lacing mechanism. The 2015 Nike Mag will be a limited edition release, on sale only via auction, with all money raised going to the Michael J Fox Foundation. Back in 2011, Nike created 1,500 replica pairs of Mags, but that version didn’t feature the innovative automatic lacing technology. The charity auction raised US$9.4 million for the Michael J Fox Foundation, and this new model is set to raise even more for Parkinson’s research.